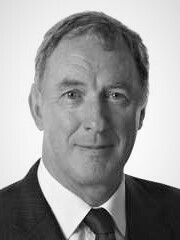 Alastair has over 30 years’ experience as a commercial lawyer specialising in maritime projects and finance, latterly with international law firm Clifford Chance in Hong Kong. He has extensive experience in the LNG sector, having worked on projects involving more than 80 LNG vessels, FSRUs and FLNG units and representing over 15% of the total global fleet with a value in excess of $10bn. His clients have included major shipping companies, oil & gas majors, banks and export credit agencies, LNG project companies and financial investors. Alastair advises on JVs and investment structures; commercial contracts such as shipbuilding, management, charterparty and pooling agreements; and ship finance through asset-based lending, leasing, capital markets, project finance and ECA co-financing.